I float through my life. The memories from childhood glide past. I see bright moments of clarity in an otherwise immature haze of self absorption, innocence and unawareness. The world did not touch me then, at least not that I knew. I smile at those recollections. My floating takes me in another direction, down swirling waters that churn with emotion, with darkness, heat and intensity. These are the coming of age moments that are branded on my being. My cheeks grow hot with feeling, still so strong. And then, the current takes me down wide powerful rivers that bump me up against obstacles, into peaceful coves for quiet moments, and then out again into the rapids for another round. This is the driving force of life that splashes up meaning, soaking you even as you are intending to stay dry. This is my river. 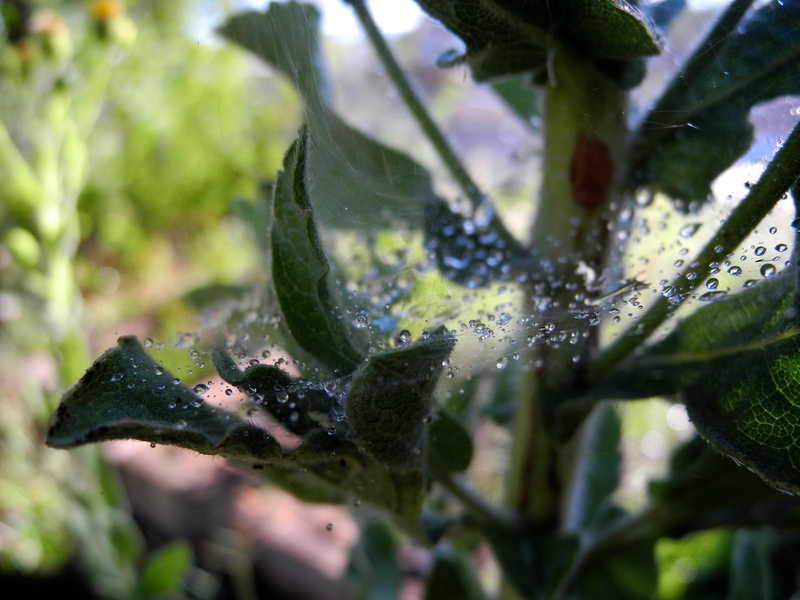 I carry the drops of lessons learned and life’s revelations with me in a spiders web wound round me to keep me safe. It clings and sticks and sometimes I want to be free of it, but I am entangled with all that I once was, my various stages and personalities. I am entangled in the veil that life has woven for me and decorated with the bright highlights, the diamonds of my spirit’s growth. Ah, so I cannot escape what clings to me. That now I see. So I shall carry it proudly and bravely and present it with humble gratitude that I was given all these gifts. I wish for you my dear friends, a veil of diamonds that will illuminate your days with the goodness from the many stops on your journey of life. Have a blessed day.